Long Bay Pointe Marina is a first-class boating resort located in the heart of Virginia Beach. 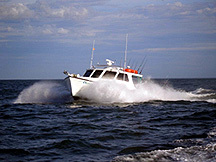 By boat we are located 5 minutes from the Bay, 10 minutes from Atlantic waters. By car we are a 15 minute ride from Virginia Beach’s oceanfront and 20 minutes from downtown Norfolk! 60 Degrees, Drum Roll Please!